It’s been less than a month since it began, thankfully for most, and yet the hemorrhaging from the University of Texas football program continues. In the short time since the Longhorns ended their disastrous 5-7 season, head coach Mack Brown has gone from an in-control-of-the-program CEO to looking like Scotty Smalls trying to make friends and play backyard baseball in The Sandlot. In other words, he’s got some work to do…and fast. 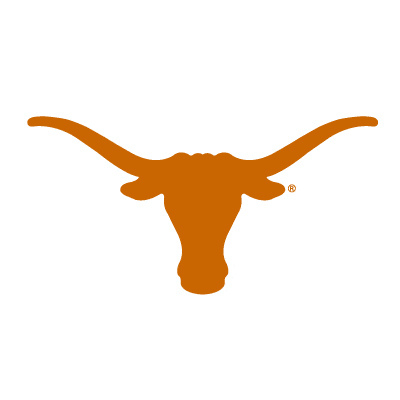 Up until last week, the Longhorns had seen four coaches depart since November – offensive coordinator Greg Davis, offensive line coach Mac McWhorter, defensive coordinator Will Muschamp, and defensive line coach Mike Tolleson. But, to put a wrapper on 2010, wide receiver coach Bobby Kennedy expectedly resigned on Dec. 30 to make a lateral move to be the University of Colorado’s wide receiver coach. Make that five. Throughout a tumultuous December, Longhorn fans across the country spread coaching hire rumors as fast as they could drink a bottle of Salt Lick BBQ sauce. They threw around more names than Santa Claus could rattle off reindeer names. And yet the New Year passed with nothing from the halls Belmont. What exactly was Mack Brown doing over there? Had we been naughty and not nice? On Monday and Tuesday this week, fans began to get some answers – albeit not quite the names or coordinator-level titles fans were expecting. The first presser of 2011 brought us Darrell Wyatt as the new wide receiver coach and co-recruiting coordinator, and you can watch Wyatt’s introductory press conference here. Wyatt is a Texas-born Kansas State alumnus who is a get-to-the-point coach with credible Big 12 Conference experience and has been both a wide receiver coach, offensive coordinator, not to mention recruiting extraordinaire. The problem might be, he’s a gypsy of sorts – making his rounds year-after-year – to different schools around the country, including Kansas (most recently), Baylor, oklahoma, and Oklahoma State…and those are just his Big 12 Conference stops. In fact, he’s coached at 14 different universities in his 21 years of coaching. That said, Wyatt can downright get kids to come play for him and turn them in to top-tier talent – see also Adrian Peterson (oklahoma), Mark Clayton (oklahoma), Rashaun Woods (Oklahoma State), and Mike Thomas (Arizona). He’s recruited from Texas for most of his coaching tenure, including the Dallas/Ft. Worth metroplex, Houston and East Texas, and Central Texas. It’s an exciting addition, and ‘Horns fans can be assured that Wyatt will turn out as much talent to the next level as former offensive coordinator Greg Davis ruined. Another positive for Wyatt – his youth and energy. Brown’s talked about it, and now it’s coming to fruition – a much-needed addition to the retirement home-bound staff that had been residing in Austin the past few seasons. In addition to Wyatt, Mack Brown also announced Bo Davis, who has served as a Nick Saban disciple at LSU, the Miami Dolphins, and Alabama, is joining the Texas Longhorns staff, making a lateral move to become the ‘Horns defensive line coach. During his tenure with the Crimson Tide, Davis has had a top-10 defense year-in and year-out in one of the toughest conferences in the country, and he has had several defensive lineman become all-conference or all-American players. Prior to joining the ranks of Saban’s various staffs across the southeast, Davis spent several years coaching at Galena Park North Shore High School in Texas, including coaching former Longhorn DE Cory Redding, and has relationships with high schools across the state. Given his background as an LSU alumnus and assistant, Davis also brings inroads to the top high schools in Louisiana. The question now becomes whether Brown is making random hires that he hopes work well together under his tutelage. It seems odd, to this writer anyway, to hire position coaches when the coordinator positions are still up in the air. At least, publically still up in the air. Maybe Brown’s got his CEO house in order, has lined up more than we know behind the scenes, and has everything but signatures on the dotted line. Maybe he’s building a staff based on input from those to-be-named resources. Rumors are circulating that leading candidates for the offensive and defensive coordinator positions are also in Austin interviewing this week. While many expected Teryl Austin (Florida), Everett Withers (North Carolina), or even former Longhorn Jerry Gray (Seattle Seahawks), to be leading defensive coordinator candidates, it appears as though Brown is after another young, energetic SEC coach instead – none other than Mississippi State’s Manny Diaz. Diaz would be an interesting hire, but to look at what he’s done with a middle-of-the-road SEC team only means he could flourish with the talent in Texas. On the offensive side of the ball, many have considered Boise State or Wisconsin’s coaching gurus to be the focus of the search, and that seems to be more or less true, as the Badgers offensive coordinator Paul Chryst is supposedly the top target. But, don’t rule out the Broncos’ OC, although it sounds like he wants some of his boys (namely, his offensive line coach) to come along for the ride if he signs a contract to come to Austin. Only time will tell, but as the college bowl season wraps up and the recruiting window opens up again leading in to Signing Day in early February, it’s due time to name some coaching talent and get them in Austin and on the road solidifying what is and could still be the #1 recruiting class in 2011. What at first appeared to be a blessing in disguise for Texas this off-season is quickly becoming a nightmare for Texas football head coach Mack Brown and the athletic department. Following his first losing and worst season in Texas history (5-7), pressure was on Brown to replace key coaching positions on his staff where deficiencies were observed. That meant a swift “adios” to long-time offensive coordinator Greg Davis, as well as line coaches Mac McWhorter and Mike Tolleson. Today, in the wake of Florida Gator coach Urban Meyer’s second retirement in Gainesville, athletic director Jeremy Foley has announced the Gators they’ve hired away Brown’s coach-in-waiting for the Longhorns – none other than defensive coordinator Will Muschamp. Holy, Davy Crockett with a raccoon hat. Next, we’re going to find out the Confederacy won the Civil War, the French army is something to be reckoned with, and there were no weapons of mass destruction in Iraq. Brown’s got some big holes to fill, and just when he thought things were lining up perfectly for him to retire in the not-to-distant future. The two lead coordinator positions, plus the two line coaches – and maybe a wide receiver coach to boot – leads to a very, very busy off-season. Anyone else think 2011’s becoming a re-building year…again?! Hey, Greg Robinson…tired of working for Rich Rodriguez and getting your door knocked on by the NCAA every other day? Hey Gene Chizik, when you’re done coaching you’re Heisman Trophy quarterback in the national championship game this year, would you be interested in coming back to coach the defense in Austin? Hey, Major Applewhite, aren’t you glad you’re sticking around…opportunities are becoming more and more available for you, my man. It’s evident, even more so with this latest departure – EyesOfTX is quickly seeing a very, very young coaching staff taking over the helm in Austin in the next 3-5 years. Texas’ Mack Brown Turns Mafioso? Suffice to say, there are a few mixed feelings about offensive coordinator Greg Davis’ departure from the Texas Longhorns football team. But, we all know that head coach Mack Brown loves to control his “empire” and these latest coaching retirements and resignations are no surprise given the heat from the Texas fans and boosters. What’s next? Opening laundry mats and restaurants? Well, at least more of them do now – and, of course, I’m referring to Texas Longhorn football coaches. With this week’s announcement that at least three, maybe four, coaches would be resigning from the Texas Longhorns football staff, there is quite a bit of work to be done to fill the void. That said, there is one coach in particular that Texas fans can agree they’ll be glad to see go – offensive coordinator Greg Davis. While he did bring some success to Texas during his tenure (including a 2005 National Championship and the Frank Broyles award for the Top Assistant Coach), it’s been hard to assess whether his impact on his players and the program was good or bad. Now, he’s been reduced to fixing classic cars, ballroom dancing, and illeagl gun running, according to some sources. Either way, after 13 years, Texas fans owe Greg Davis a “thank you” for all that he’s given the university, so on your behalf, EyesOfTX has taken a stab at a proper send-off, below. It’s been quite a run you’ve had at the University of Texas and with the Longhorns football program. In your 13 years, you’ve given us many memories, and we couldn’t let you shrek off in to obscurity without highlighting out some of the moments to which we owe you thanks. Thank you for convincing Ricky Williams to stay for one more year. Thank you for benching Chris Simms in place of Major Applewhite in the 2000 Big 12 Championship game; one quarter sooner and we would’ve played for another national title. Thank you for recruiting Vince Young, Colt McCoy, Garrett Gilbert, and Cedric Benson to Texas, but not for recruiting Chris Simms. Thank you for starting Major Applewhite in the 2001 Holiday Bowl against #21 Washington. Thank you for the bubble screen. Thank you for allowing Vince Young to utilize his skills in the zone read offense. Thank you for never getting the offense off to a fast start. Thank you for figuring out a way to beat oklahoma 6 times (but not for losing to them 7 times). Thank you for the play call to Quan Cosby on the final play of the game in the 2009 Fiesta Bowl. Thank you for the quarterback option call on the fifth play of the 2009 National Championship game against #1 Alabama. Thank you for boosting Colt McCoy’s sense of self-worth by limiting our running backs enough that he was the leading rusher 9 out of 10 games. Advising Mack Brown on various weight loss schemes that took him from…in the words of “Can’t Buy Me Love,” geek status, to king status, to no status. We appreciate your time in Austin, but are ready for and in need of an offensive change that doesn’t take three years to implement. We will try to forget your ignorance around teaching the quarterbacks how to read the blitz, for not figuring out how to run a successful screen pass to the talented running backs, for throwing for one yard wide receiver bubble screens on 3rd and long, for running a set type of offense with the wrong kind of player personnel, for never getting the most out of the talent on the field, and for thinking you were better than you were and never understanding where you made mistakes and fixing them. We hope you enjoy your time away from football and the University of Texas, we will. What’s missing, ‘Horns fans? What would you like to “thank” Greg Davis for after all of these years? It’s about time. No one ever wants to see wholesale changes in a coaching staff, especially one that has been together as long as Mack Brown’s Texas Longhorns staff. But, after the first losing season for Texas football since Brown’s arrival in 1997, it is time for some change. Early reports indictate that several coaches have either resigned, or at a minimum told their players that they won’t be returning next season. The key departure (good or bad depending on your alliances) is offensive coordinator Greg Davis, who has been with Brown for all 13 years at Texas, not to mention his tenture at North Carolina and Tulane before coming to Austin. In addition, offensive line coach Mac McWhorter, defensive line coach Mike Tolleson, have confirmed they are resigning, and wide receiver coach Bobby Kennedy is rumored to also be leaving the staff (although that has not yet been confirmed). That leaves a lot of holes to fill on the coaching staff, but they were all areas where the Longhorns have struggled the past 2-3 years. You can find more on the departures here, and it appears as though Mack Brown will not try to fill the positions until after the bowl season concludes. The resignations will also not be effective until August 31, 2011, when each of the coach’s contracts expire, although they could leave sooner if they are hired away by other teams. Who are the likely candidates to fill some of those roles, you ask? Let’s pontificate, based on some rumors circulating Longhorn nation. Keep in mind, current defensive coordinator and future Texas Longhorns head coach Will Muschamp will also have some pull in hiring the new coaches, so he might help Brown and the staff dig in to SEC coaching talent as well. No doubt, with some top coaches departing, the ‘Horns will have some money to spend in the off-season to get top-notch talent. – Dana Holgorsen (Oklahoma State offensive coordinator/quarterbacks coach): Lead the nation’s #1 offensive juggernaut in 2010, and made a former Major League Baseball pitching prospect one of the best quarterbacks in the Big 12. It could be tough to grab Holgorsen, though, as he’s an in-conference coach, and Cowboys alum and millionaire Boone Pickens has plenty of money to donate to keep a winning staff together in Stillwater. – Bob Bostad (Wisconsin running game/offensive line coach): When you think of the Badger’s offense, the first thing that comes to mind is a stout running game that is based on the success of an offensive line that can run block with the best in the counry year-in and year-out. The downside is Bostad hasn’t called the plays and would have to learn on the fly or defer to another member of the current Texas offensive staff (see also: Major Applewhite). Would be a solid hire as an offensive line coach, but that might not be the type of “promotion” or long-term growth opportunity that is attractive to a successful assistant coach. – Major Applewhite (Texas running backs coach): A natural progression for Applewhite, and more the likely one of the reasons he took a demotion from previous roles to come to Texas in the first place – to be Greg Davis’ replacement. As a former quarterback, he can help groom future talent, and he’s also called the offensive plays for Rice and Alabama (under none other than Nick Saban) in previous stints. He’s young – yet experienced, more than capable, repsected by the players, has name recognition and in-roads to Texas-state talent, and it is a guarantee that he wants the job. – Mark Helfrich (Oregon offensive coordinator): As much as EyesOfTX despises all things Ducks, this might be a great hire. Helfrich has only called the plays for the “Zeroes” for two years, but their offense has been prolific during that time – and he’s got the Ducks playing in the national championship game the year after his starting quarterback transferred and his best running back went off to The League. Not bad. This one comes down to how much Nike, er…Phil Knight, er…the university is willing to pay to keep him around. – Bryan Harsin (Boise State offensive coordinator/quarterbacks coach): This would be an interesting hire, but might be difficult given Harsin’s a Broncos graduate. It’s hard to get talent out of Boise, as head coach Chris Petersen has a well-oiled machine under his helm. The question remains whether Boise State talent can climb up the rungs and be successful at the next level – see also: former head coach Dan Hawkins, who floundered in his attempt to translate his success in Boise to Boulder and the Universityof Colorado. – Stacy Searels (Georgia line coach): There is some history with Searels and Will Muchamp, and the SEC connection might help draw him to the Lone Star State. While Searels has seen success at Georgia in previous years, the past several years have been struggles for the Bulldogs. Is that what Brown and Muschamp want to bring to town? We’ll see how things pan out, but expect some big changes in the next month or two. Luckily for the ‘Horns, the bye week means they’ve some extra time to try and right the ship. Level their wings. Put their heads on straight. 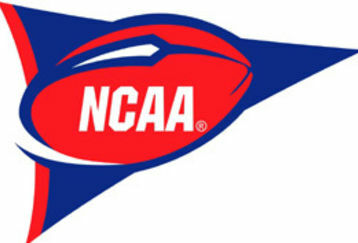 To remember they are football players for one of the most elite college programs in the game. The I-35 bubble in Austin should have a lot of blood, sweat, and even some tears after practice this week. The film room should have cots spread out across the room because players have been spending every waking hour glued to the early-season game tape to find and correct their on-field mistakes. But, it’s deeper than that. So far this season, the seniors are showing how much they feel entitled. On the field, that’s translating to Maverick’s “crashed and burned on the first one, it wasn’t pretty” lingo. The younger guys can’t buy in to that – there is too much talent and potential among the depth chart. For the ‘Horns, it’s time to step up or turn in their pads because they’ve “lost the edge.” Just because it says “Texas” on the front of your jersey doesn’t mean you deserve to win. There is one thing on Nebraska’s mind this week – redemption. December 5, 2009. Just like Texas needed one second back in the upset in Lubbock in 2008, the ‘Huskers want one second back from last year’s Big 12 Championship game. December 5, 2009. There will be no mercy rule, Nebraska is squarely set on putting the wood to Texas on Saturday in Lincoln, the teams’ final Big 12 regular season match-up. December 5, 2009. Make no mistake, this game has been circled on head coach Bo Pelini’s calendar since … December 5, 2009. Even Nebraska’s marketing department was behind an off-season shot at the Texas game (and later changed) to get Husker fans excited for the upcoming season – called “Red Out Around The World.” Their mantra (and doesn’t this sound kind of familiar): “Come early. Be Loud. Wear Red. (Beat Texas).” They’ve sold out of t-shirts at the bookstore bearing the saying: “All my ex’s live in Texas: Iowa State, Kansas, Kansas State and Missouri.” The date “10-16-2010” is plastered all over campus. Don’t become ou fans, Huskers…it’s not a good look for you. His name is Taylor Martinez. His name is Taylor Martinez. His name is Taylor Martinez. Seriously, Tyler Durden probably knows this kid by now. The barely-past-puberty Martinez leads Nebraska at QB in 2010, and brings the word “amazing” to an offense that was anything but in 2009. With the same basic role players on offense, the infusion of Martinez has helped transform what was a horrific scoring attack last year to one of the best in all of college football this year. Jake Locker, eat your heart out. As a redshirt freshman, ESPN NFL draft analyst Mel Kiper Jr. might have just moved Martinez past Locker on his draft board. Everyone knows Pelini is a defensive-minded coach, and since his return to Nebraska, he’s shown his ability to craft a defensive juggernaut – even giving the “Blackshirts” nickname back to this year’s squad. But, Martinez is the knight in shining armor for the ‘Huskers 2010 BCS run, running the zone read to perfection. He’s mobile. He’s fast. REALLY fast. Think Looney Tunes’ roadrunner. Get this: the kid is five games in to the season, and he’s already accumulated 737 yards rushing, on 10.8 yards per carry, for 12 TDs. Those are RB stats, folks. A really, really good RB. Passing? Only three TDs. You get the idea. Let’s hope Martinez doesn’t leave Will Muschamp’s Texas defense looking like Wile E. Coyote. Unfortunately, Martinez isn’t the only rushing threat. RBs Roy Helu, Jr. and Rex Burkhead flank Martinez in the backfield, and are more than capable of providing the power running attack as opposed to Martinez’s sideline-to-sideline flair. Is this bringing back UCLA nightmares yet? It should. On the outside, Martinez has the option to throw to several talented and big wide receivers – namely Niles Paul, Mike McNeill and Brandon Kinnie – but quite honestly, he just doesn’t need to. He’s only thrown for 660 yards on the season with three TDs and three INTs. Will they pass? Yes. Do they think they need to? Probably not. Most impressive is that Nebraska’s offense is built around a very inexperienced offensive line, with three new starters in 2010. Maybe Texas’ Mac McWhorter could take some lessons on how to transform on-paper talent to on-field production? The line has given up seven sacks on the season, and with Texas’ stacked defensive line, the Big Red will have their hands full maintaining their gaps and creating running lanes for Martinez, Helu, Jr. and Burkhead. This year’s “Suh” in Lincoln is none other than Suh’s cohort in the trenches last year, defensive tackle Jared Crick. He has 23 tackles and 2.5 sacks on the season, and with opponents focused on protecting against Crick, the rest of the defensive line has opportunities to shine in opponent’s backfields. Ironically, the line isn’t their strength – the ‘Huskers bring the #1 pass defense in the country. You’d have to utilize your abacus to add up the number of interceptions they have on the year. With Texas’ lack of a running game, expect Pelini to pressure and contain any semblance of a running game with his front four and have his secondary focus on dropping back in to coverage to track down balls a la Willie Mays. Good news. Texas got their butts chewed during the bye week. Bad news. Offensive coordinator Greg Davis is probably sitting up in the press box drawing up a “revised” version of the bubble screen to a different running back or wide receiver. Good news. RB DJ Monroe has used the bye week to “learn the playbook.” OK, maybe not, but he’s getting the call to start in the backfield again this week. Bad news. No matter how well the offense plays on Saturday in Lincoln, Texas won’t win Saturday without a big performance by the defense. Offensively, this game lies in the hands of the Texas offensive line. Nebraska is prone to giving up rushing yards (well, at least more than they do through the air). If the o-line can give QB Garrett Gilbert time in the pocket, provide running lanes for the speedy Monroe, and the wide receivers can run routes beyond the first down markers, Texas does indeed have a shot. It hasn’t happened yet this season, but they’ve had their poor performances to-date rubbed in their face for too many weeks now. It’s time to change. It’s time to define the offense…on the field…on a Saturday. With freshman WR Mike Davis back in the line-up, Texas can take some shots down the field and change the dynamic of the game with big plays and open up the field for the…gasp…running game. Defensively, Muschamps’ boys have their hands full with Nebraska’s three-pronged running attack. But, like any good football coach will tell you, even “Coach’s” Hayden Fox, beating a running team is all about playing assignment football. It’s about maintaing your gaps in the trenches, and utilizing your linebackers and secondary to clean up the mess. It’s about not making mistakes. It’s about making sure tackles. It’s beating Martinez to the corner with the right angles. It’s about stripping the ball and winning the turnover battle, and the ‘Huskers have put the ball on the ground 18 this year, so it’s possible. Nebraska will get their yards on the ground, but this defense has shown glimpses of being an elite unit. They’ll need every piece of that talent and pride to win in Lincoln. Texas will also have to overcome a strong Nebraska kicking game, as the ‘Huskers will use every opportunity to pin Texas deep with punter Alex Henery and make Gilbert and company drive the length of the field, which has been a consistent problem this season. The ‘Horns have to eliminate the mistakes in special teams. Expect to see new kick and punt returners, and with a swift kick in the pants, a different attitude to bring some momentum to the Texas sidelines. It’s going to be chaotic and red in Lincoln, but Texas has a long-shot chance at avoiding a .500 start to the 2010 season and redeeming themselves in the eyes of college football’s elite.